Yesterday, Harper had her 18 month well visit. She is still sitting solidly at the 10-25th percentile for her weight. She is at the 50-75th for her height and head circumference. It is so fun to have such a petite girl. Chloe and Addison were over the 100th percentile for their height from the time they were born. She is super healthy, even with her cough and runny nose. Harper doesn’t say any words. None. She doesn’t show any interest in trying. I asked the doctor about this. If she even had just 2 or 3 words in her vocabulary, they would not be concerned. The average is 30-50 words by this age. Since she doesn’t say any at all, she is definitely behind. Since we are moving on Monday, our pediatricians hands were tied. He couldn’t really set up any appointments for us. He said that as soon as we move and get settled to find a pediatrician. We need to ask them to set up a hearing test to be sure that she is hearing. Then, every state offers a free speech evaluation. She is perfect and exactly the way that God made her. I am praying that it is not her hearing, because that is harder to help her overcome. She hears and follows prompting. “Harper, where is your nose?” and she points at her nose. She responds to her name. “Do you want more banana?” and she nods her head enthusiastically. They obviously see this more than I do, so I feel pretty clueless. Have any of you had children with delayed speech? What has your experience been like? Was hearing the issue? This is all new territory for me. I am a blog junkie. I love to get a peek into the lives of other moms; especially if they are in similar phases of life. 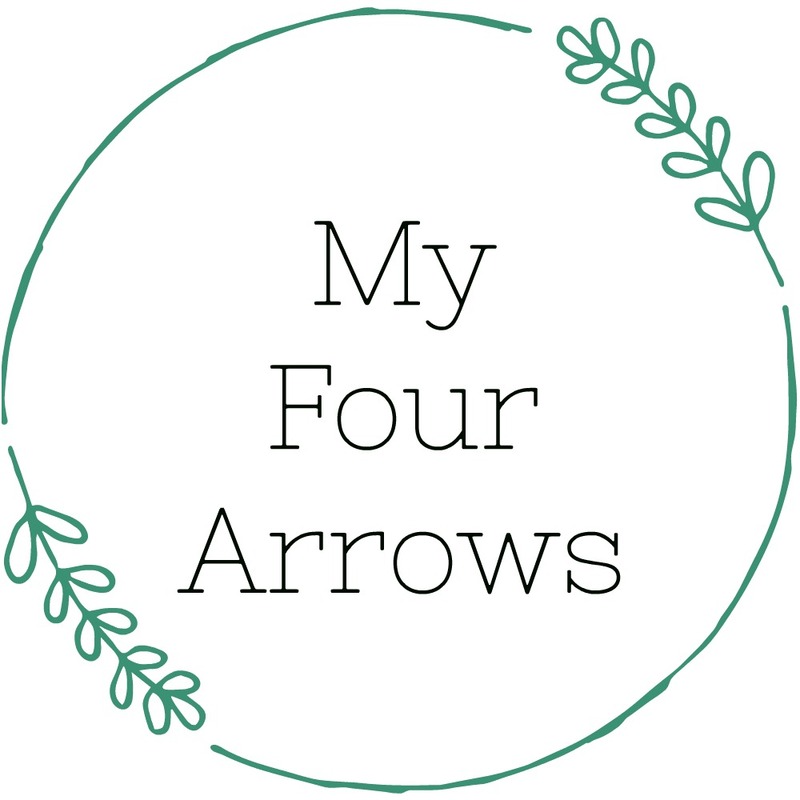 Kilee, who blogs at One Little Momma, wrote about three questions for tough days. She just had her fourth baby boy, who is incredibly adorable, and is rocking at it. Her and her husband also own Nickel & Suede, which you should DEFINITELY check out! Beautiful leather jewelry. I am dying over those wrap cuffs..and everything else! Anyway.. it has been tough around here. I am so richly blessed, but we are packing our lives and moving 14 1/2 hours away from the state that we have called home for the last 6.5 years. I am excited; beyond excited. But, it is also scary. I am exhausted from to-do lists of what to take care of when we get there, squeezing in appointments before we move, packing, cleaning, and trying to help my girls understand what is happening. Oh, and did I mention that I have some nasty virus that has me hardly sleeping, but working on some amazing abs from all of the coughing? Womp. I also just started a new prescription that is going to attempt to suppress my thyroid in the hope of it shrinking. I have been struggling to swallow lately, which is bad when you have to take four giant pills to keep epilepsy under control. It’s not a big deal, but will basically give me hyperthyroidism while my body adjusts. I am terrified that I will go bald. That is completely off subject. Here we go for real..
1. Moving. I am ready to just get there and get started. We are stuck in “limbo” right now… we feel like we are on the outside looking in, and we are just ready to get to where God has for us and dive in. 2. Decorating my new home. It’s an apartment, but as the wife/mama, it is my job to make it HOME. As an HGTV addict and former interior design major, I am so excited to have a new space to create in. 3. Running. I have let my health sit on the back burner. I haven’t REALLY run in over a year. It is showing, as I have gained back 15 pounds that I lost last year. I am excited to live in a SAFE place with a nice neighborhood to run in. 1. Moving. HA! I am struggling with helping Chloe and Addi understand these changes. Their stuff is all being packed, they are sleeping on mattresses on the floor, and they just don’t get it fully. Cooking is tough because we are trying to use up what we have in the fridge and freezer. 2. Feeling like I am failing. I am trying to stay on top of things, but there seems to be more things than I can juggle. 3. Comparison. They say that comparison is the thief of joy. It’s so true. I see people that I graduated with that are buying a house, or have a nice car, and I let it get to me. I long for that kind of stability. I see people who JUST had babies, and already look back to “normal”, and I am struggling to keep my weight under control. 1. God’s provision. Seriously.. look at what He has done for us! We were facing no income, no home, etc. We were TWO weeks from moving in with family when God opened a door for us. Not just “a” door.. but, one that we had prayed about and for.. one that was the perfect fit. Not only that, but when I called to cancel my endocrine appointment that was scheduled for after we moved, I asked if they would happen to have an opening this week to squeeze me in, and they said “How about today?” It was an important appointment for me to have, and I am so thankful that I was able to have some questions answered. 2. My husband. Scott has been amazing. My emotions have been a roller coaster. There are times when I have been downright nasty, and he continues to show me grace and love me in spite of me. He makes coffee for me in the mornings. He told me to go to bed so that I could get some rest while he cleaned. We have a gift card to use, and we are going out to lunch tomorrow. He is incredible, and I don’t brag on him enough. 3. My girls. The older girls have been difficult to handle lately with all of the changes. I am trying to show them grace and help them through this. Oh, how I fail. They love helping us pack, and enjoy labeling (and decorating) the boxes. Harper has been battling sickness, too, and has been such a trooper. She is so content and easygoing. She also tries to help pack, but we don’t need our wipes packed just yet. 😉 These three girls are such a blessing. I hope they know that. January is always kind of a sad month. All of the Christmas decorations are down, and the house always looks so empty and boring. It gets kind of depressing. Our house especially looks boring because we are 5 (!!!!) days away from moving. It has me dreaming of decorating our new place for Valentine’s Day. I have a whole pinterest board dedicated to Valentine’s Day. Crafts, decorations, and festive snacks fill this board with inspiration. I really want to make these truffles for Scott. These are our favorite truffles to make, and I have never thought about making them into shapes! These bird feeders would also be fun to make with the girls. I’m also thinking about doing this for the girls. Though, we will be traveling the 1st and 2nd, and I am afraid that the hectic-ness of the move is going to get in the way. Maybe next year. It would be sweet to do any time though! This math station would also be a fun way to blend the holiday with homeschooling. And, just for fun, here are some throwback Valentine’s pictures from years past. This was last year. Taking pictures gets more and more interesting. Clothing: She is wearing size 18-24 month, but the shirt sleeves and pants have to be rolled up because she is so petite. Words: She still doesn’t say any words, and I’ll be talking to the pediatrician about it next week. She should have a vocabulary of approx. 10 words by now. She likes to squeal and babble a lot though! Favorite Foods: She loves vegan cheese, peaches, pears, ketchup, and Plum Teensy Fruits. Favorite Activities: Harper loves dancing to any music; even her sisters’ made up songs. Snack eating is also a favorite past-time. She is majorly into giving everyone hugs and kisses. Bath time probably tops her list of favorite activities; which is good since she loves rubbing ketchup all over her head. She is a master at stealing Addison’s juice cup and sucking it dry before Addi notices. Favorite Things: Harper loves her baby doll. She carries it around and pats it on the back. She loves to carry Addison’s Lucy dog around the house and kiss it. Her play table has also been a huge hit. She sits at it to eat a snack during the day and loves to color ON it. Milestones: She learned to “pound it” (fist bump) and loves holding her little fist out to people. She is doing really well at feeding herself with a fork. We use these to make it easier for her. Harper has also started to really understand directions now. “Let’s change your diaper” means run away giggling. 😉 She knows where her nose, eyes, mouth, etc. are. Harper is feeling really under the weather. She seems to have caught some virus during our travels and can hardly breathe through her nose. She is still happy as can be despite having a fever and flowing nose. She is enjoying “helping” me pack boxes for the big move. I love being this little girl’s mama and enjoy each new day with her. Wow. I am back. What a whirlwind!!! We left on Wednesday morning and traveled all day. Of course, it snowed in Michigan and slowed us down a lot. 9ish hours in the car later and we were eating a late dinner with my mom and dad. We left the next morning and spent another 9 or so hours in the car, checked into our hotel, and then had dinner with the pastor and his family. Because we got there on a Thursday, we had a couple of days to get to know the pastor and his family and also look around the city and see what it was all about. For the record, the pastor and his family are awesome. I just wouldn’t want someone writing and critiquing me. haha! Nothing bad to say, lots of good to say. It just would be weird to write all about them. The city was so beautiful. It is winter (duh) so most plant life is dead, so I cannot even imagine how beautiful it would be to see in the spring/summer/fall. We were able to do one of the many service projects that the church is involved in. We packed boxes with food for the elderly. This facility also will pack up snacks for kids that may not get any food over the weekend. The school will give them a grocery bag to take home with them on a Friday. I could have some of the details wrong as we got a lot of information in a short time. Either way, what they are doing is AWESOME!! We also got to go visit this awesome teen ministry in the city that the church helps support. They pick kids up from school, do a chapel service, tutoring, and then it’s a whole skate park and arcade. It’s a safe place for them to be after school until their parents pick them up. I was blown away. Everything is free except the snack bar, and even that is something that they can earn money for by participating in tutoring. I believe that I was told that most of the kids were not passing the state requirements for testing, and now all that attend are. It’s just incredible. Sunday morning we were able to be in services. It truly was just a breath of fresh air. The people were so friendly and kind. The music was done so well. You could tell that people were truly worshiping and not just singing because they had to. The teenagers are so sold out for Jesus. It’s just awesome.. I really don’t even know what to say. Again, I don’t want to write about it too much because it would be weird. The church is awesome. The people are awesome. We left on Monday morning and got to Scott’s parents’ house late. All adults were ready for bed but the girls were wired. Let’s just say they didn’t even get into bed until midnight. They were so excited. Chloe got to share a bedroom with her mimi and Addi got to share a room with papa and the dog, Sierra. Addi LOVES Sierra and was MORE than happy to snuggle her all night. haha! We got up early and hit the road after some breakfast. We spent the whole day in the car AGAIN. We hit snow (again) in Michigan, and I saw a couple of cars in the ditch. But, we made it safely. The only incident we had was on our way down. We kept hearing a sound like a helicopter. We pulled off several times and checked the tires, etc. Turns out, it was our bumper. It got messed up right after we bought the van and we couldn’t afford to fix it. It’s slowly been deteriorating, and it was flapping in the wind. It’s tied on now, no worries. ha!!! Now, we are back and have just 11 days until our last Sunday with our FBT family. I just sat this morning feeling completely overwhelmed and not knowing what to do first. I eventually shook it off and started scrubbing the inside of our fridge and packing some boxes. We have so much to do, and not much time to do it. Happy Monday, friends! I will be away from blogging for the rest of the week. We have this tremendous opportunity to travel to Oklahoma and candidate for a position at a church in a pretty cool “city”. There is a lot of packing to do as we prepare. This trip is really exciting, but will also take about a week away from our 3 weeks left here. I have to pack for our trip, and pack for the move simultaneously. Whew. Please be in prayer for us. We want to be the right fit for this church. If we aren’t, then we want God to make it very clear to us and them. A lot of people expect us to just jump on the first position offered just for the sake avoiding being job-less and income-less. That is not at all what we are going to do. We will prayerfully consider it. Anything that God doesn’t want from us, we will not do. A lot of people wonder how this whole process works for us, so I thought that I would share a little bit about when we first started in ministry 7 years ago in June. When Scott was preparing for graduation from Bible college in 2009, we were praying about what God wanted us to do. I still had some time left in college, but we were so ready to dive into ministry. We prayed, and felt God saying “GO!” I looked into finishing my school through Liberty University Online and became really excited about that. This gave us the freedom to go WHEREVER we felt God calling us without fear of my degree getting in the way. Scott put together his resume and started looking at churches that were hiring. We have a really great home pastor who gave an awesome recommendation and started to put Scott’s name out there; letting people know that he was looking to become a youth pastor. We had three churches that invited us to come and candidate for their positions over the course of a month and a half. What that means is we traveled to them, Scott taught Sunday school, and we gave our testimony of coming to know Christ and being called into ministry. We met many members of these churches and ate a lot of good food. haha! Two of the churches had special activities with the teens over the weekend so that we could get to know them on a less formal level. It is a lot of fun. I am an introvert, so some of it is really intimidating, but it is fun getting to meet so many new people. All three of these churches ended up offering the position to Scott. It just so happened that they all offered at the same time. To be honest, it was incredibly overwhelming. We did not feel like any of those open doors were wrong. So, once again, we prayed a lot. We felt like one church was the best fit for us. It paid the least amount, was in the coldest state, and involved the most insane schedule… just so that no one thinks that we picked what was going to make the most money and be the easiest. Quite frankly, it was the HARDEST.. But, we both learned a LOT in our time there. The process is basically the same each time. When we start feeling God tugging on our hearts as though it’s time to move on, we pray for opened/closed doors and direction. God opens and closes them in His time. We obey. Ok, so that’s a lie. Today has been a L-O-N-G day already. One of my children had an accident..on the couch..all over my pillows. Then, another accident all over the kitchen floor and my rug. *sigh* Change affects kids in such strange ways. We can’t really tell them ANYTHING about our new adventure. It’s an adventure and we will have a new church family and new house.. that’s about all that we know. haha! Our day started early with an appointment at 8:30 for Addi and Harper. I left from there and rushed to another appointment for Harper at 9:00. I am going to be so sad when we move because we have THE BEST doctors for the girls. We saw the allergist today for Harper. Since she is so little, we are going to just keep doing what we’re doing. FPIES is not an allergy that you can test for without feeding them the allergen. I am not about to risk sending my 1 1/2 year old into shock; and neither is the doctor. She has had a rash on her tummy for quite some time that we haven’t been able to get rid of, which can be a sign of Celiac disease. Thankfully, it is just eczema; which I suspected. Addison has eczema, too. He prescribed something for it, and we should be good to go! We are starting to hear some things from churches and even have a visiting date set up, so it’s getting exciting and feeling a little overwhelming. Please continue praying for us and these wonderful churches who are looking for leaders. We want to be the right fit for them. It’s day 5 of the new year! How are you doing with your resolutions/goals? It is Addison’s turn to shine! This little girl is constantly cracking us up with what she says.. and does! What is your favorite dessert? uhh.. CANDY!!! What is your favorite TV show? uhhh.. what’s my favorite TV show? Toy Story. Toy story is a movie. Well, I like watching that. What is your favorite movie? uhh.. Jake and the Neverland Pirates. *sigh* that is a TV show. What is your favorite song? Waves of Mercy. It’s because I learned it at church! And my favorite song is It’s my Father’s House. Maybe that’s my favorite song. Who is the Coolest Person on Earth? uhh.. Rachelle. She is one of our graduates from the youth department. What do you and your mom do together? Uhh do school work!!!!!! Like, you are our mommy and we do school work together and play together. Like, play ponies or barbies or whatever we want to play. Or maybe nothin’. Or maybe play tree. Or maybe nothing. Or maybe play Christmastime. Like, Christmastime for ponies. What do you and your dad do together? uhh.. go to stores. But, our dad’s gone. Where is he? I dunno. Do you know? He’s at work. Ugh. I miss him. He works at church! When you were little, what did you do? Uhh.. slobber. Like aghhh. Bite and pull hair. hahahahahaha! I used to pull hair sometimes. But, I love huggin’. If you could go anywhere in the world, where would it be? uhh.. Target. What do you think your parents are too strict about? Uhh.. I dunno. Like, your grandma and grandpa? Who is your best friend? uhh.. Jeff. Jeff is my best friend because I love him!! And, Anthony likes me. Anthony really likes me. Jeff is a friend of ours that helps in our youth department. Anthony is a boy at church that plays with the girls before AWANA. What are some of your favorite things to say? Play with me. That’s my favorite word to say. Yep, it is. It really is, mommy. What is your favorite thing to do outside? Play on our park. And I love to play with my ponies out there! What is your favorite book? Uhh.. My Zoo book!! Like, this zoo book!! What do you want to be when you grow up? Uhh.. chef!